If your medical care requires surgery or a stay in the Intensive Care Unit (ICU), it’s already a serious situation. But trauma puts serious “on steroids,” as they say. Just ask the ICU and perioperative staff at NorthBay Healthcare. “When it comes to trauma patients, we in surgery have to be ready for anything, and time is of the essence,” stresses Susan Gornall, NorthBay Healthcare director of perioperative services. in the Emergency Department. The surgical suite is prepared; it has to be brought to the proper temperature and some fluids must be warmed. Packs and instruments are prepared for the surgery—whether it’s for abdomen, thoracic, vascular or orthopaedic trauma—and are all ready and on stand-by. 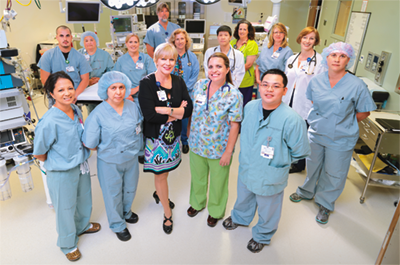 The surgery staff works as a close, collaborative team. It includes operating room nurses, surgical technologists, anesthesia technicians, post anesthesia nurses, surgeons and anesthesiologists, Gornall explains. NorthBay began building its infrastructure for trauma care and other advanced medical services several years ago, and the latest plank in the platform is assuring its surgery and ICU staff have completed intensive training exercises and received trauma certification. Surgery staff members are attending Trauma Nurse Core Course (TNCC) training classes and are completing certification for advance life support. Trauma Care After Resuscitation (TCAR) is designed for perioperative nurses and will also be an important component for staff working in the ED, Gornall adds. ICU staff have also completed TNCC classes and received off-site training at Alameda County Medical Center. 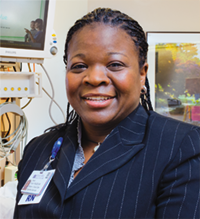 “Members of the ICU staff will spend several 12-hour shifts there, learning how to respond to trauma and managing this patient population in the ICU. It allows them to obtain hands-on training at a Level II facility,” Amos-Terrell explains. In addition to the training, ICU and surgery staff has participated in a number of mock drills over the past several months.